Often when starting a new Python project we need to spend some time thinking about how to manage the settings, decide on which module the configuration manager will be written, decide which name to give to this module, create a class or function to store the configuration keys, create the conditions for multiple environments and still need to worry about where these keys will be stored and in which file format? No more! now you have Dynaconf! Spend your precious time developing your application, run pip install dynaconf and let Dynaconf take care of your settings. 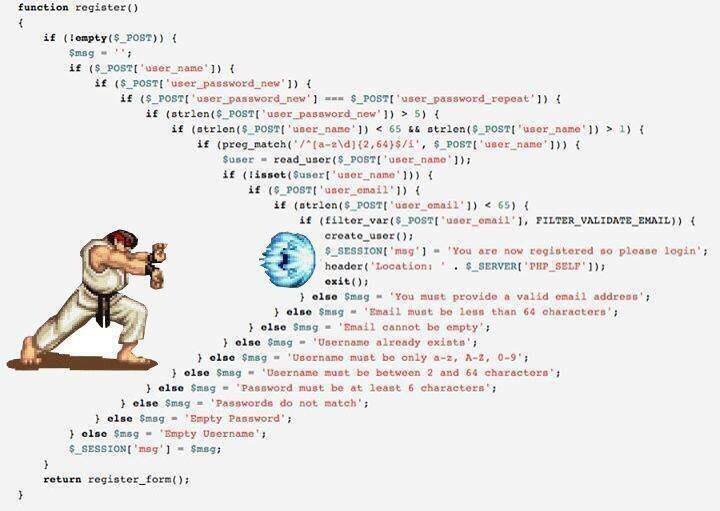 That is the only line of code you need, no complicated boilerplate, no hadouken-ifs, no need to maintain config classes. You must be wondering - "What magic is this? Where does the setting values come from?" Well, there is no magic, and the values can come from wherever you want, by default and following the recommendations of the 12 factor apps Dynaconf has preference for environment variables. And the environment variables for Dynaconf are typed using the toml format sotrue has been evaluated to boolean True and this makes it possible to export lists, dictionaries, floats, booleans, and so on. Well, that's cool, but your project will not have settings coming from just the environment variables, I'm sure you want to have a settings file where you can set default values. Dynaconf can read multiple file formats, out of the box it supports .py, .toml, .ini and .json. If PyYAML is installed then it will also support .yaml and you don't have to take care of finding and opening the files. The preferred format is .toml because it is currently the best configuration format, widely addopted, and you can use whatever file format you want. And as you can see now using settings. file we can have separate [environments] by default dynaconf will always work on [development] which means only [default] and [development] variables will be loaded. At any time you can do export ENV_FOR_DYNACONF=production and then it starts using the values from [production] environment. If you don't want to have that separation by environment, you can simply put everything under [default] section. There are some people who disagrees and it is really a point of security failure. However, if you are sure that your machine is protected, you can leave the secrets in the variables, at your own risk, Dynaconf can read it normally. This is a simple level of security for keeping secrets, and it is specially useful to keep development secrets. That token you use to access the development API etc. Wait.. how does it solve my security problem? Well it does not (yet) but it make your life easier in 2 ways. Put .secrets. * in your ~/.gitignore so you will never commit the mistake of sending that data to a public git repository. Dynaconf can output debug information when DEBUG_LEVEL_FOR_DYNACON=DEBUG is exported, all loaded values are printed but if the values comes from a .secrets. * file, then only the key is printed and the value is masked. It is useful to use on public CI. You can setup a step on your Ansible deployment playbook that will safely copy or generate the secrets file to store there on your production environment. Vault has lots of features like leases and sealed vaults. Are you using Django or Flask? Dynaconf provides extensions for those 2 frameworks, with 2 lines of code you enable it and then your framework will start reading settings from Dynaconf. What if you are using a different settings file format? a different framework and a different external storage? You can extend Dynaconf adding new loaders! Dynaconf is the only thing you need to manage your settings! Strict separation of settings from code (following 12-factor applications Guide). Store parameters in multiple file formats (.toml, .json, .yaml, .ini and .py). Sensitive secrets like tokens and passwords can be stored in safe places like .secrets file or vault server. Parameters can optionally be stored in external services like Redis server. Environment variables can be used to override parameters. Support for .env files to automate the export of environment variables. Correct data types (even for environment variables). Have only one canonical settings module to rule all your instances. Drop in extension for Flask app.config object. Drop in extension for Django conf.settings object. Powerful $ dynaconf CLI to help you manage your settings via console. Customizable Validation System to ensure correct config parameters. Allow the change of dynamic parameters on the fly without the need to redeploy your application. Settings are simple but Dynaconf provides even more features like Feature Flags, Settings Context Managers, Plugin Settings etc..